These villas have a private stretch of beach, a 50m² pool, shaded verandas equipped for alfresco dining, and a canopied daybed. 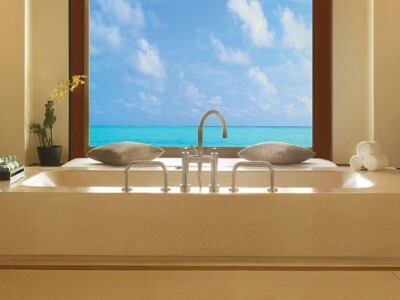 With an astounding interior space, the villas offer two spacious bedrooms, a sitting area facing the sea, and a large stone soaking bath designed for two. Two bedrooms (the firstbedroom features a King-size bed and divan, the second bedroom has two Queen-size beds), separate dining and sitting room, shaded verandas, generous outdoor seating area, private pool (50m2), spacious bathroom with luxurious bath for two with walk-in rain and jet shower. 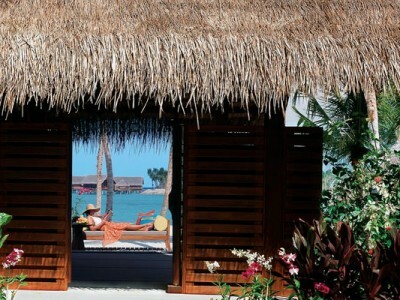 Enjoy direct views of the ocean and private stretch of beach from the bed. Beach Villas feature King-size beds, oversized bathtub, indoor and outdoor showers, and a 26m² verandah offering a versatile exterior living space. 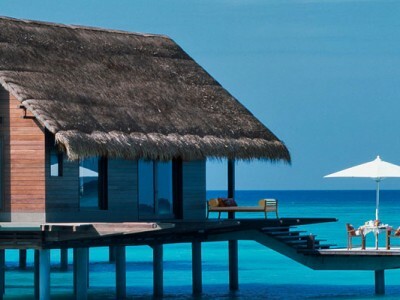 Connected to the island by over-water walkways, these villas on stilts perch right over the lagoon. 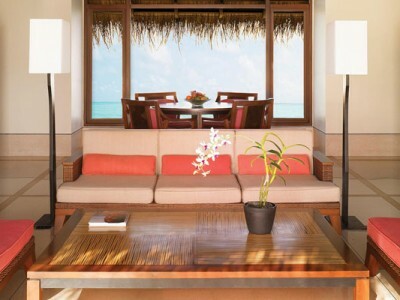 The same size interior as the Beach Villas, each has a 40m² covered veranda and a split-level 31m² deck. Netting suspended like hammocks from its edges are perfect for breezy sunbathing. Available with one King-size or two Queen-size beds w/ single divan; opulent living space with entertainment area; shaded veranda; over-sized terrazzo bath, walk-in rain and jet shower and twin vanity sinks in bathroom. 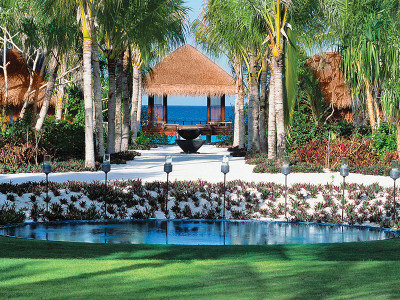 The largest villas on the resort are hidden amidst tropical foliage. These villas have a private stretch of beach, a 50m² pool, shaded verandas equipped for alfresco dining, and a canopied daybed. 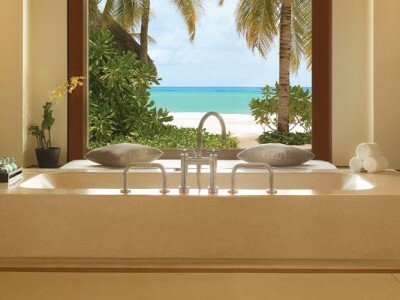 With an astounding interior space, the villas offer one or two spacious bedrooms, a sitting area facing the sea, and a large stone soaking bath designed for two. 33m² of covered decking skirt these superior villas on stilts, ideal for outdoor relaxation and dining. Another 51m² accommodate sun bed platforms and an open air Jaccuzi of 13m² as well as a 23m² infinity pool. One-bedroom villas feature a King-size bed and divan, separate dining and sitting room, shaded verandas, generous outdoor terrace, private pool, spacious bathroom with luxurious bath for two with walk-in rain and jet shower and steam room. The resort hosts dining in an impressive 8 restaurants & bars on the property. 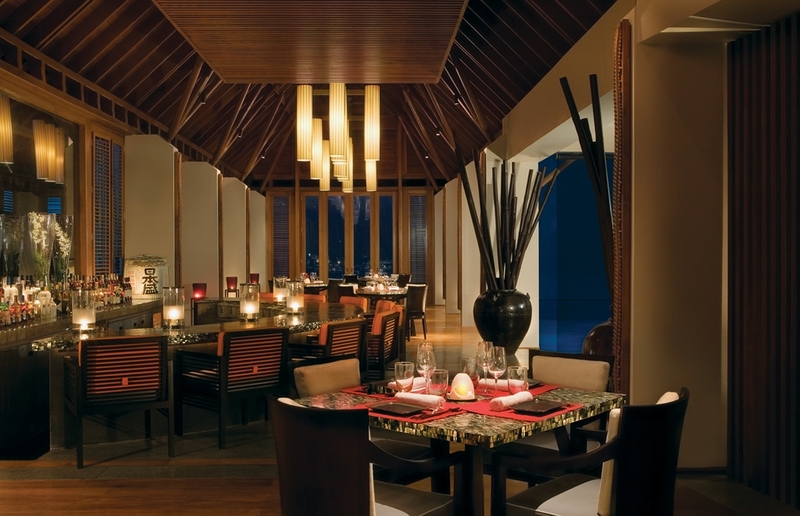 These include Reethi Restaurants (Aqua, Fire, Earth), Beach Club, Rabarbaro, Tapasake, Fanditha & Botanica. With the freshest selection of salads, seafood and grills and the signature ‘le surge’, Beach Club offers a memorable dining experience complemented with amazing views of the Indian Ocean. Here, guests enjoy the vibrant energy of the island’s southernmost beach, enhanced by chill-out tunes that play all afternoon. Indulge in the selection of ‘La Playa’ snacks, inspired by all-time favourite Latin American comfort food. Then satisfy that sweet craving with a visit to our newest venue, Sweet Paradise, where chefs are waiting to hear what flavor, which toppings, and how many scoops you’ll have today. 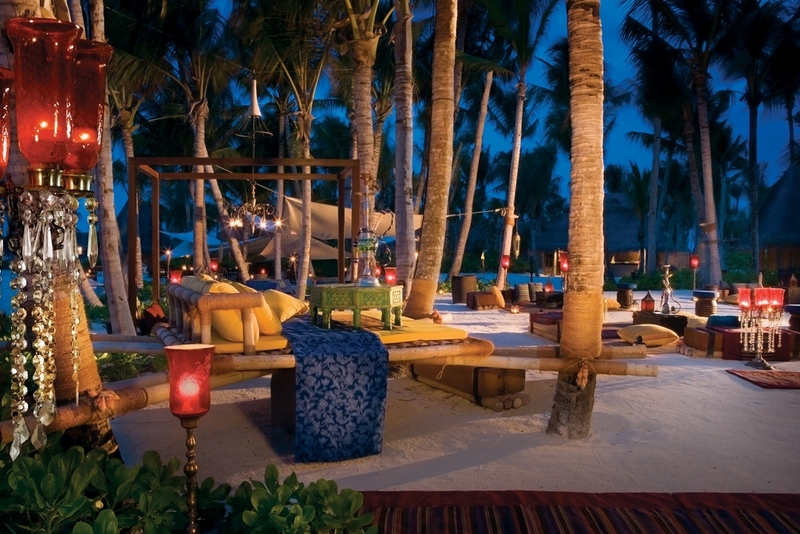 The newest dining experience at One&Only Reethi Rah, Rabarbaro provides a variety of exquisite Italian dishes. Offering a simple yet vibrant, subtle and delicious selection, you will definitely have a lingering flavor of Italy in your mouth at the end of the meal. Watch the sun set over the ocean whilst enjoying freshly caught sushi and sashimi, accompanied perhaps by a critically acclaimed Riesling. This spectacular over-water restaurant, on the island’s western shore, provides a relaxed, romantic setting in which to sample the many delights of modern Japanese cuisine. The restaurant has an outdoor teppenyaki garden. No jacket and tie required here. No shoes either for that matter. This Middle Eastern restaurant serves healthy chargrills, salads and mezze in a chilled ambience with live DJ entertainment, whilst guests laze with toes in the sand on Arabian divans and hammocks. Here you can enjoy the ultimate in field-to-fork cuisine. Organic produce from land and sea is grown or sourced from local artisanal suppliers and the herbs and vegetables that flourish around your table are picked and cooked for you in ways that ensure their health-giving properties and natural flavors are not parted from the dish. An extensive villa dining menu is available 24 hours a day. Alternatively, a team of chefs is on call for exquisite tailor-made dining in privacy. 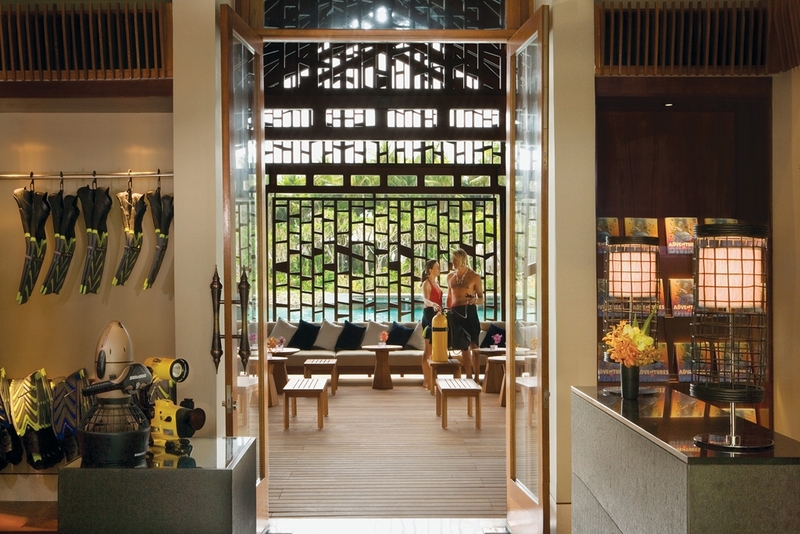 Set apart from the rest of the resort, occupying a total surface of 13,000 sqm, the spa is set within tranquil gardens and manicured lawns. With wellbeing in mind, skilled ESPA therapists offer revitalising holistic treatments, including Thai massage and European aromatherapy. 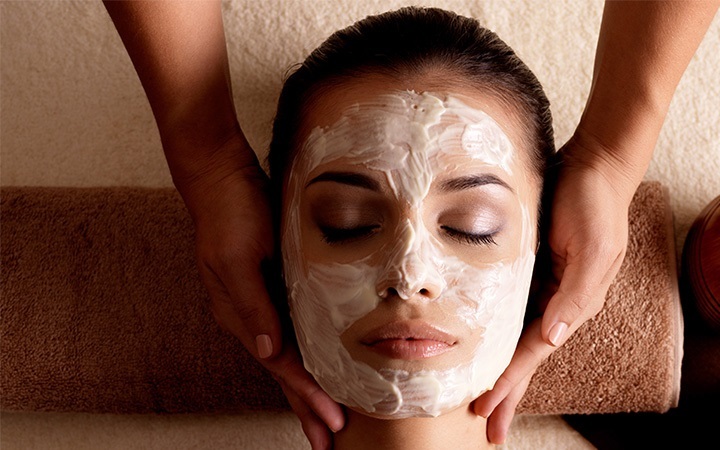 The emphasis throughout is on the Ayurvedic methods of the Indian sub -continent. 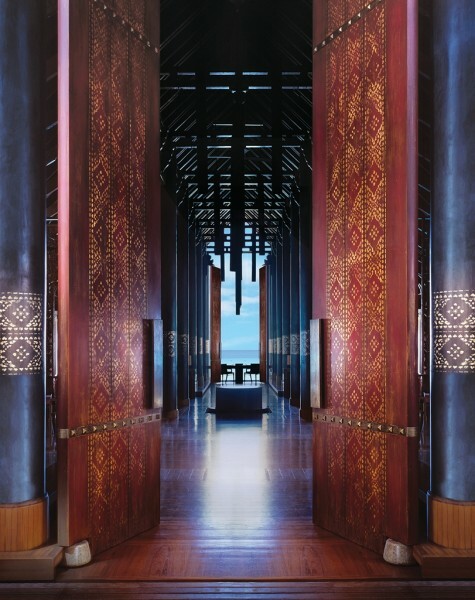 The Spa encompasses eight pavilion treatment suites, two double over-water spa suites, Bastien’s Pedicure by Bastien Gonzales, and separate resting areas for men and women, each with hot vitality pool, crystal steam room, lifestyle showers and stone sauna. It also boasts a salon for women and a ‘Barber & Blade’ – a salon dedicated to men’s grooming. 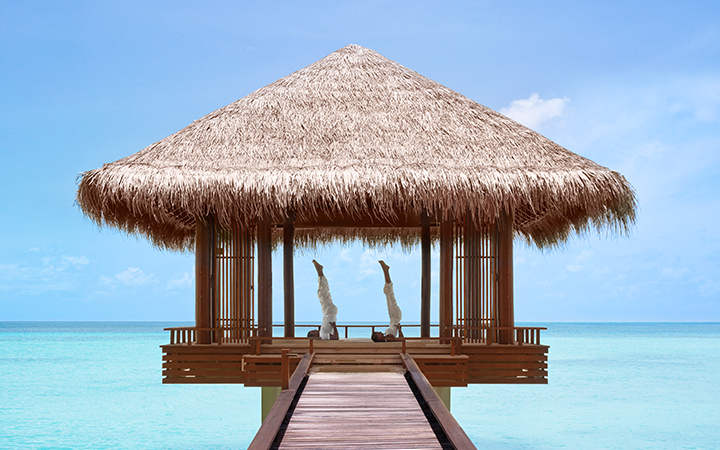 A Chi Pavilion is positioned over the lagoon, and is the perfect place to practice Kundalini yoga or meditation. 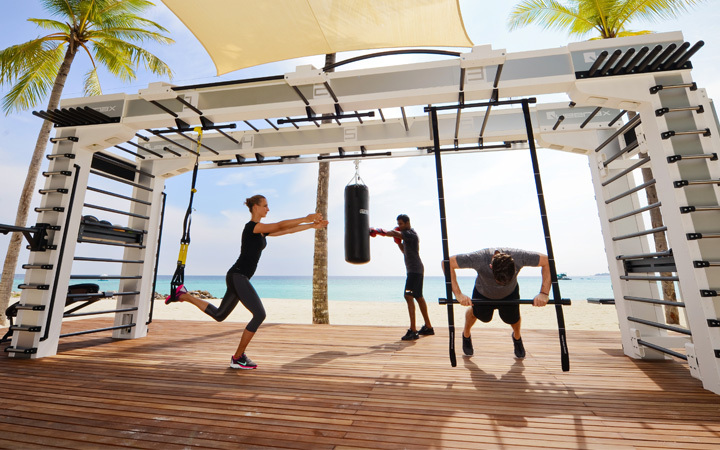 One & Only Resort has one of the largest resort gyms in the Maldives, equipped with state-of-the-art cardiovascular training equipment and resistance machines from Kinesis™ and Technogym®. These include steppers, exercise bikes, gradient machines, free weights, running machines and more, all available with personalised training. 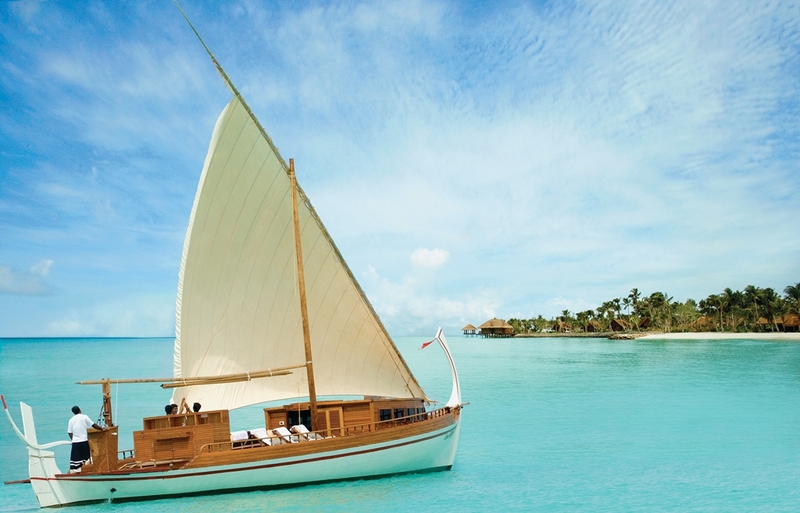 A wide range of complimentary water sports is available including canoes, kayaks, pedal and paddle boats, snorkelling equipment and windsurfi ng boards. If desired, the resort can also arrange paid-for guided scuba diving excursions, deep-sea fishing trips, catamaran sailing, parasailing, water-ski, wake boarding and banana and tube rides. 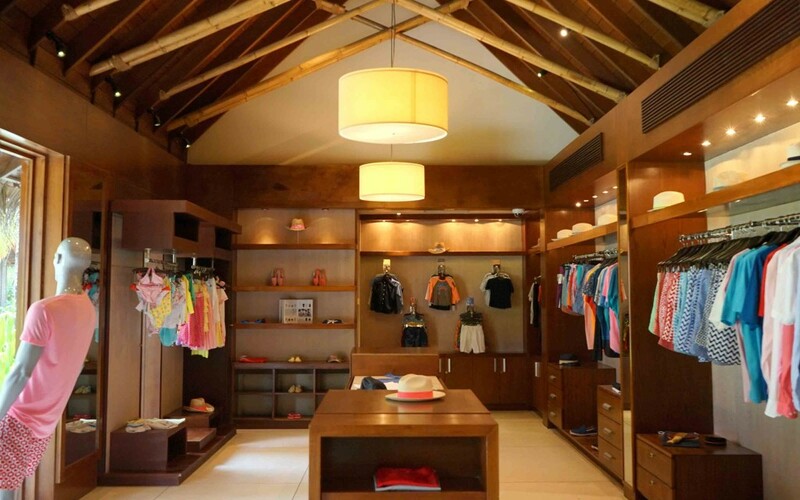 The boutique carries the very latest in designer swimwear, beachwear and chic island apparel. 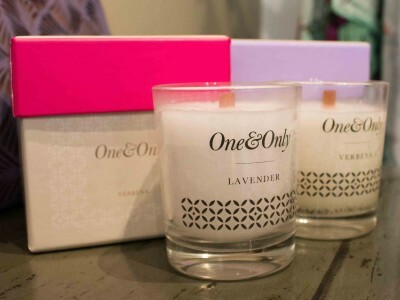 It includes a collection for men, women & children. 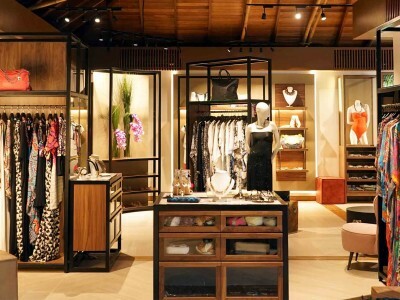 With a new outlet, the boutique also brings you Anjara fine jewelry. Kids Only clubhouse is run by a dedicated team of fully-certified counsellors. Four- to eleven year- olds enjoy their own pool and dining area, evening shows and all sorts of sporting activities. Two- and three-year-olds are welcome to join in with a parent or baby-sitter, and baby-sitting services are available for a fee. Designated staff help twelve- to seventeen year- olds make new friends from all over the world, and organise a wide range of sporting events, nature treks, adventure programmes and local excursions. 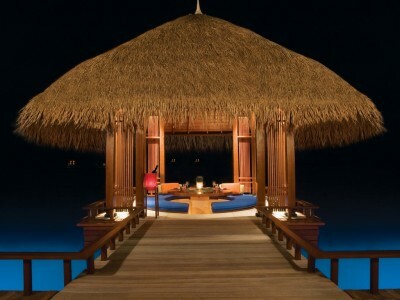 One&Only Reethi Rah, Maldives is the perfect romantic setting. 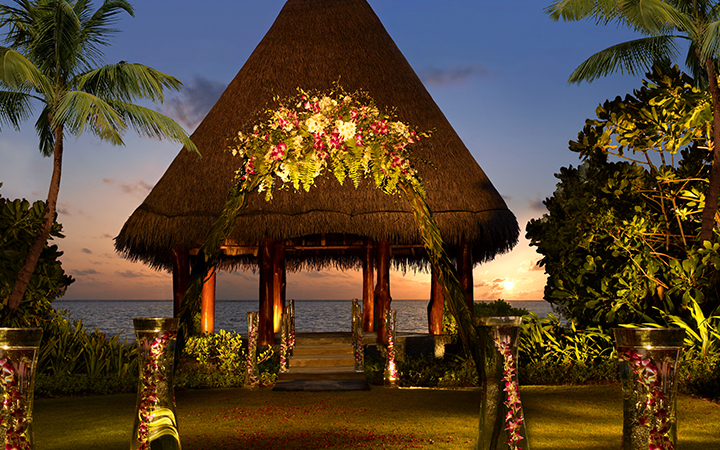 Whether choosing to have a ceremonial blessing in the dedicated wedding pavilion, or on a picture-perfect beach, wedding coordinators are on hand to ensure that couples have a truly unforgettable day. Please note that blessings in the Maldives are not legally binding. It takes approximately 45 minutes to reach the resort from the airport by luxury yacht. 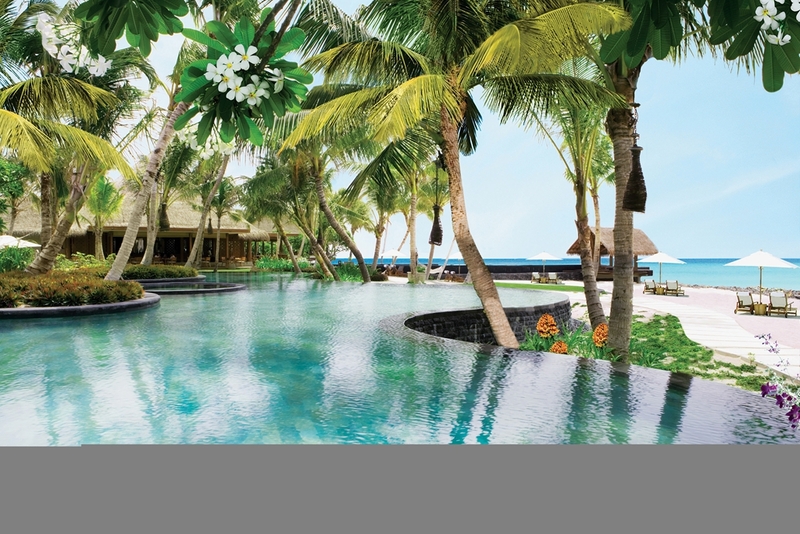 The resort is a very big island with lush vegetation, which gives a sense of privacy wherever you go. 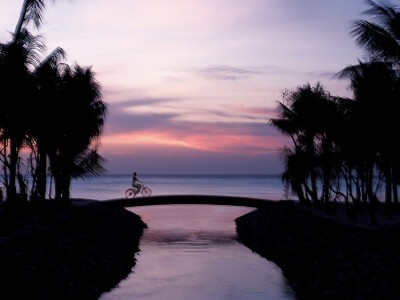 Guests are free to navigate the island on bicycles which are free of charge and available all around the resort. They can also make use of the dedicated concierge service and get buggies to go to different places, but this service is chargeable. The resort does not have an abundant house reef, but has many locations close by that can be explored through arranged excursions and dive expeditions. The resort is kid friendly and has an impressive Kids Club which hosts different activities such as cooking classes and Pirate Trips at which the kids get to spend the day as a pirate on the sea. 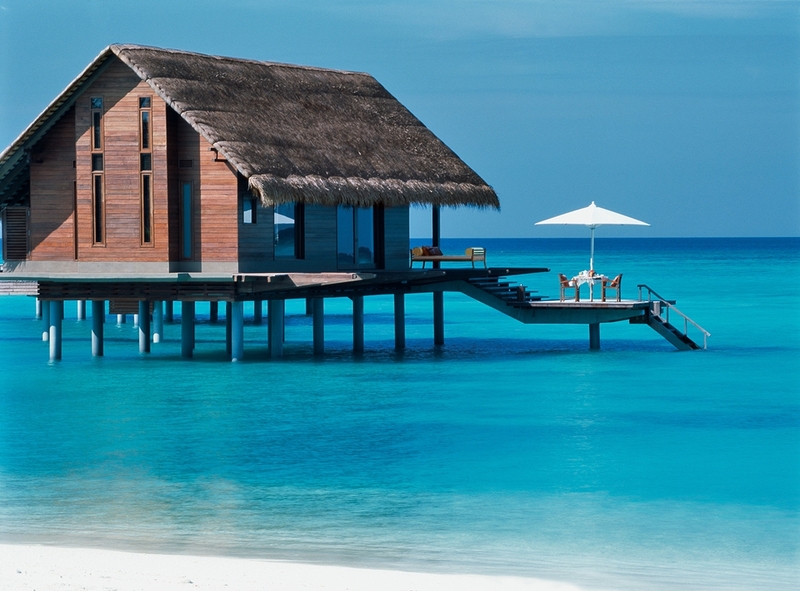 There are 8 room types, which includes Beach Villas and Water Villas. Each room type has spacious and high ceilings that gives the villa a very open interior. 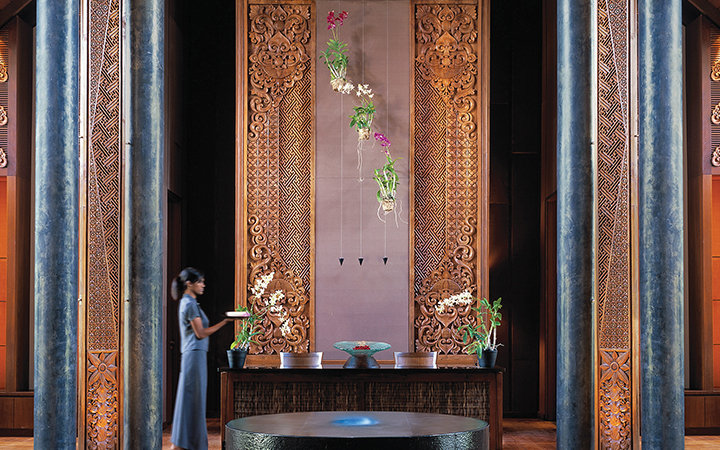 The rooms have a lot of wood accents and each room is decorated with beautiful orchids straight from the orchid garden located at the resort itself. 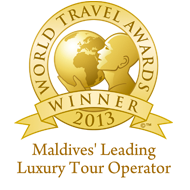 All the rooms have been renovated recently and are comfortable as well as pleasing to the eye. 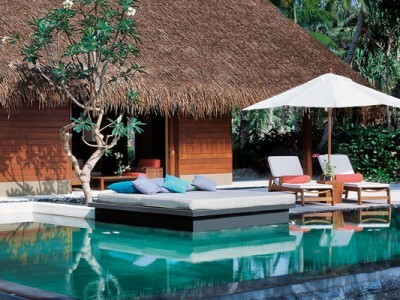 Some room types come with a private pool. 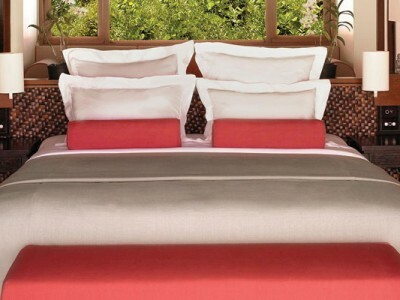 The crown jewel of the resort is the 3 bedroom Grand Sunset Residence that can accommodate up to 9 adults. 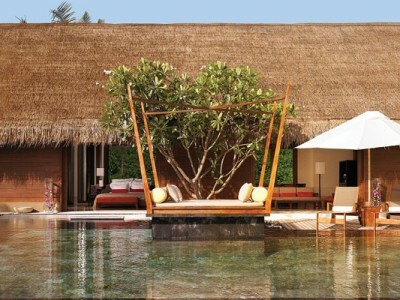 It boasts two private pools, a fireplace, an outdoor cinema and an expansive private beach, among many other quirks. As the name suggests, the sunset can be viewed through the floor to ceiling glass doors which is placed right in from of the bed in the master bedroom. 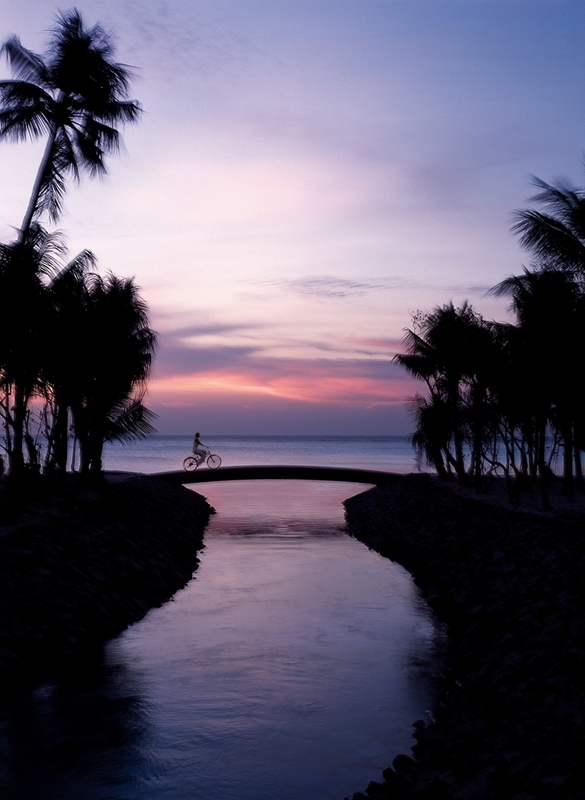 If you look at things to do at the resort, there are endless options. Guests of all kinds and ages are sure to find something that they would enjoy doing at the resort. 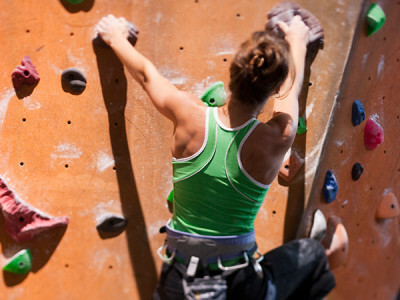 Activities like Pottery Classes, Art classes, Wall-climbing, Shopping, Tennis and Soccer are among the diverse activities that guests can enjoy. There is a water sports center which has almost every kind of water sport activity. All non motorized sports are free of charge. One&Only is home to the oldest dive center in the country. You have the chance to see Giant Mantas from nearby dive sites or even get an instructor level PADI Dive Certificate. The resort has 7 different restaurants, each with spectacular views. For example, Botanica is a restaurant that serves only organic food using the ingredients that the restaurant is surrounded with, offering a healthy but still delicious alternative to the food that is normally served. Guests can explore between French Italian, Asian Fusion, Japanese, European and Middle Eastern cuisine among the 7 restaurants and bars. The 3 bars located at various locations, each with a different vibe. One&Only boasts a collection of over 600 types of wine, so guests will never run out of options and can have the choice of premium labels that they prefer. The Spa at One&Only has its own huge area that is dedicated to pamper and please whoever comes through its doors. With seperate treatment rooms for women and men, along with over water couples treatment rooms, it has a serene atmosphere with huge lawns with hammocks and quite water fountains. There is also a woman’s beauty salon and a seperate men’s barber located within the Spa grounds. 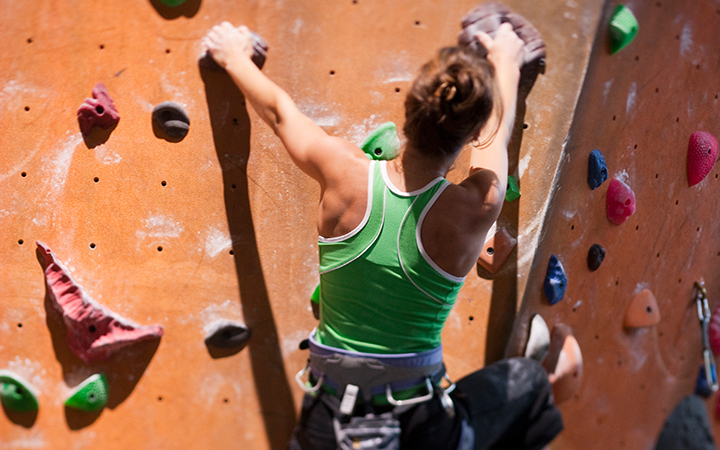 The resort has a state of the art Gym that even pro athletes approve of and have worked out at. 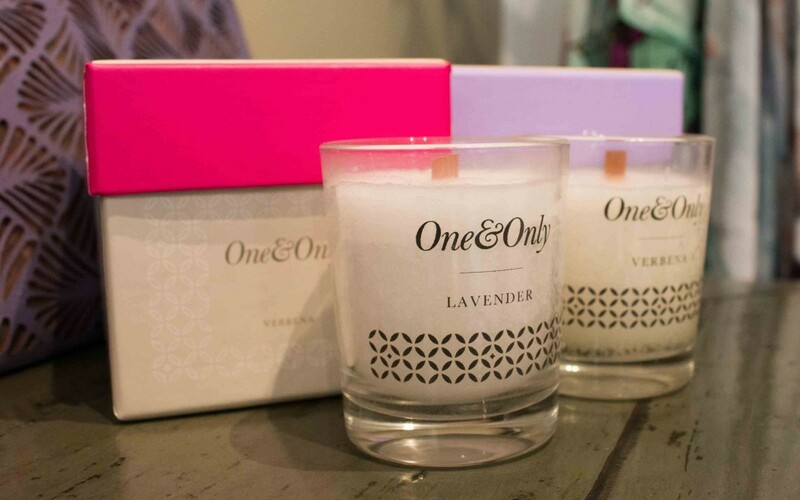 The staff at One&Only are always at your beck and call with a friendly smile. This makes the resort experience ever better than it already is. The resort can be recommended to a diverse range of guests including families, honeymooners, groups of friends and couples as well. 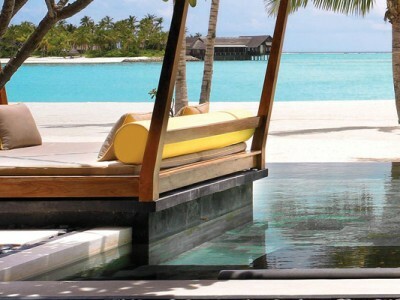 Отель One And Only Reethi Rah располагается на одном из островов атолла Северный Мале. До острова можно добраться двумя видами трансферов – на роскошной скоростной лодке, проведя в пути примерно 45 минут, либо гидросамолетом – примерно 20 минут. Есть возможность бронирования частного трансфера. В этом отеле безусловно каждый найдет чем себя занять. Достаточно большой по размерам остров вмещает в себя всевозможные места и площадки для развлечений и полезного времяпрепровождения. На побережье острова расположились 12 первозданных пляжей, а также 2 бассейна (для детей и для взрослых). Кроме того, на территории острова можно найти ультрасовременный фитнес-центр, открытые теннисные корты и футбольное поле с синтетическим покрытием по стандартам FIFA, уютный детский клуб, предлагающий всевозможные развлечения для самых маленьких гостей отеля, потрясающий СПА-центр , дайвинг центр, имеющий самое современное оборудование и бутики, в которых даже самые взыскательные путешественники смогут удовлетворить себя шопингом. Также стоит отдельно отметить высококлассный персонал отеля, а также большое количество обслуживающего персонала. Нельзя не отметить высочайший уровнь питания. В отеле каждый найдет что-то подходящее среди многообразия предлагаемых видов кухонь в одном из ресторанов, где сможет насладиться не только пищей, но и непередаваемыми видами и интерьерами. Номера в отеле также радуют наличием всего необходимого и приятным дизайном. Стоит обратить внимание на то, что в отеле есть двух и трех комнатные номера, что идеально подходит при размещении семей. Номера украшаются цветами, выращенными прямо на острове, что создает в номерах дополнительный уют и красоту. Отдых в данном отеле можем порекомендовать абсолютно любой категории гостей: молодоженам, семьям с детьми, большим компаниям друзей. Здесь каждый найдет для себя что-то свое. 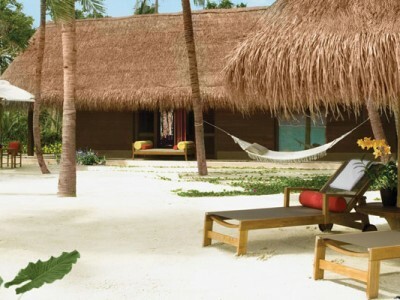 One And Only Reethi Rah is located on the one of the islands of the North Male atoll. 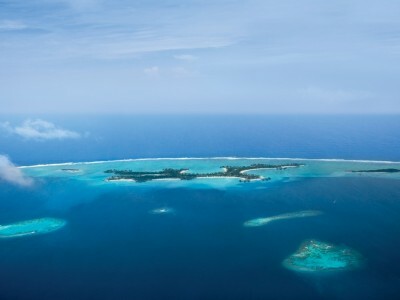 The island can be reached by two types of transfers – on a luxury speed boat, spending about 45 minutes on the way, or about 20 minutes by seaplane. There is a possibility of booking a private transfer as well. In this hotel everyone will find something to do. 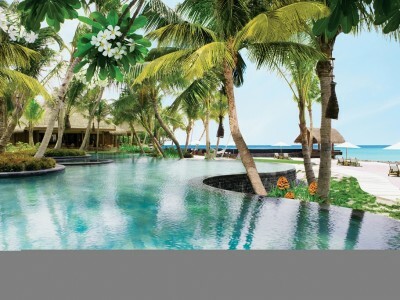 The island is large enough to accommodate all kinds of places and areas for entertainment and useful pastime. On the coast of the island there are 12 pristine beaches, as well as 2 swimming pools (for children and adults). In addition, on the territory of the island you can find a state-of-the-art fitness center, outdoor tennis courts and a football field with a synthetic coating according to FIFA standards, a cozy kids club offering all kinds of entertainment for the youngest guests of the hotel, an amazing SPA center, a diving center with the most modern equipment and boutiques where even the most demanding travelers can satisfy themselves with shopping. 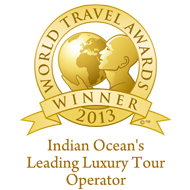 Also worth mentioning is the high-class hotel staff, as well as a large number of staff. Also need to note the highest level of food. In the hotel everyone will find something suitable among the variety of types of cuisines offered in the restaurants, where guests can enjoy not only food, but also indescribable views and interiors. 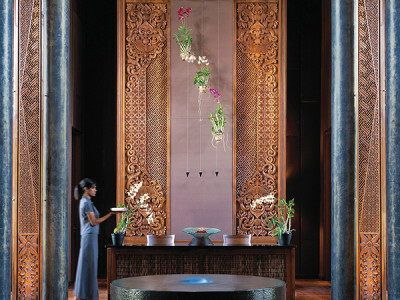 Rooms in the hotel are also pleased with the presence of everything necessary and pleasant design. It is worth paying attention to the fact that the hotel has two and three room rooms, which is ideal for families. The rooms are decorated with flowers grown right on the island, which creates additional cosiness and beauty in the rooms. We can recommend this hotel to absolutely any category of guests: honeymooners, families with children, large groups of friends. Here everyone will find something for himself. It is a short journey of 45 minutes via speedboat that takes you to one of the most beautiful destination island resorts in the Maldives. The lush greenery and thick vegetation gives a sense of privacy and relaxation. Here you can find a wide range of activities for children to art & pottery classes for adults. All kinds of water sports and excursions are also available & even an impressive football ground for those who prefer to stay on land. If you’re looking for something else, the resort offers an impressive Spa service for all with special couple Spa services for honeymooners or anniversary celebrations. Whether you’re a family, newly weds, a couple or even friends taking a vacation together, there is something for everyone on this island. The rooms are high end luxury with beautiful views out into the deep blue ocean or the white sandy beaches. 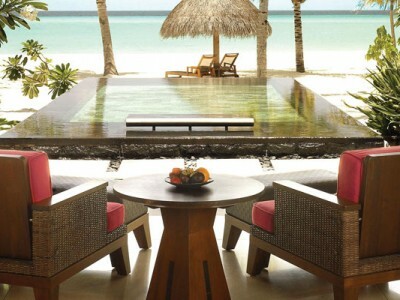 You can start the day off with a plunge into the pool or a dip in the ocean. Both of them are sure to wake your senses to a truly amazing day filled with all kinds of activities that you can imagine. 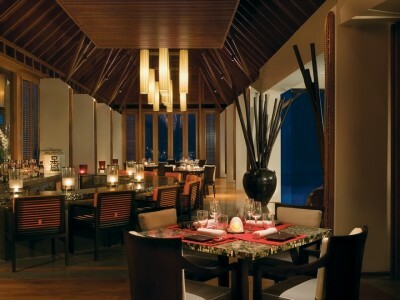 The resort also boasts a variety of restaurants ranging from Asian Fusion, Japanese to International and Italian food. All which are sure to tango with your taste buds with every bite. Overall, the One & Only Reethi Rah is one of the best you can have in the Maldives. It is truly a One & Only experience. 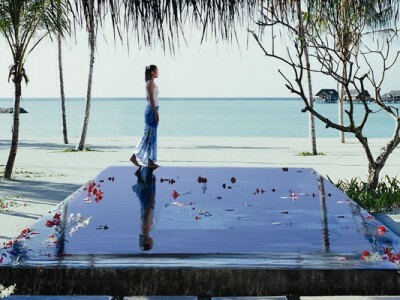 One & Only Reethi Rah – oтель расположен на одном из самых больших островов атолла Северный Мале, в 30 км от международного аэропорта Велана. Трансфер на яхте отеля занимает 40 минут, также, возможен гидросамолет – время в пути 15 минут. Остров за которым ухаживают более 200 садовников представляет собой настоящий райский уголок, с эффектным дизайном рельефного ландшафта по всей территории , идеальное место для отдыха и наслаждения морем, солнцем и безукоризненным сервисом. В оформлении номеров элегантно сочетаются натуральные материалы и современный стиль. Каждая пляжная вилла имеет свой участок пляжа. Гости могут быть уверены: ничто не помешает их уединению. Отель функционирует с 2004 года и достаточно быстро начал пользоваться популярностью среди туристов из разных стран для которых соотвествие уровню luxury – важный пункт при выборе отеля на Мальдивах. Необходимо, также , упомянуть, что СПА – центр при отеле, неоднократно, занимал превое место по качеству программ и профессионализму в сегменте красоты и здоровья на Мальдивах. Кухя качественная, разнообразная и соотвествует уровню отеля. Один из ресторанов расположен над водой Reethi и предлагает разнообразное меню из восточной и средиземноморской кухонь. Блюда готовится лучшими шеф-поварами мирового уровня. Кухню отличает особая изысканность и внимание к деталям. Fanditha – пляжный ресторан на северной части острова. Сюдя гости приходят в шортах, обуви для пляжа чтобы насладиться демократическим стилем заведения и блюдами, приготовленных на гриле, разнообразными закусками и салатами. Пляжная зона широкая и оснащена всем необходимым инвентарем и что уникально для резортов на Мальдивах спасатели следящие за безопасностью вокруг. Кроме всего разнообразия водных видов спорта на территории отеля расположены многочисленные спортивные площадки для футбола, волейбола и бадминтона, теннисные корты, открыта бильярдная зона и один из самых больших спортивных залов всех отелей на Мальдивах. Для детей отель предлагает десткий клуб где родители могут оставить ребенка на целый день, так как в клубе , кроме занимательных занятий и игр предусмотрен обед. Меню ресторана составлено с учетом детских пристрастий. Имеется , также, отдельный бассейн для маленьких гостей. Программы развлечений разграничены по возрасту, есть для детей от 4 до 11 лет, и для подростков от 12 до 17 лет. В целом, отель достойно соответсвует заявленному уровню, и не страшится столь быстро размножающейся конкуренции на рынке. 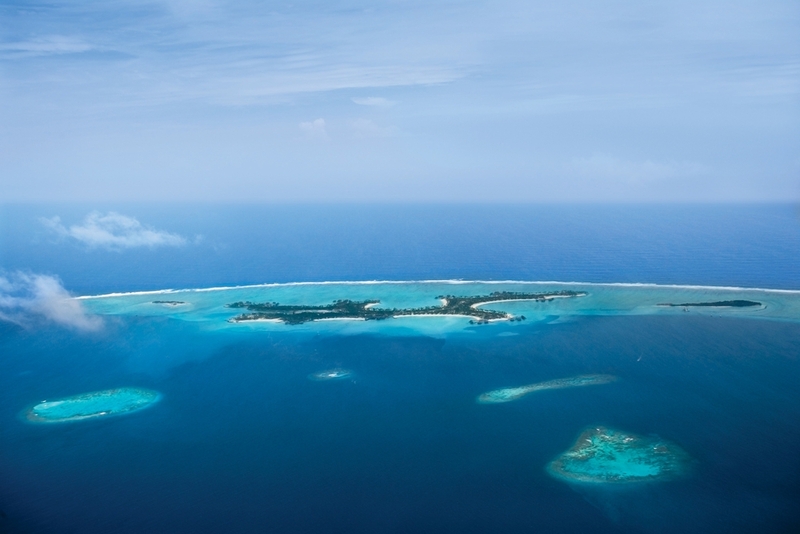 One & Only Reethi Rah is located on one of the largest islands of the North Male Atoll, 30 km from the International Airport Velana. 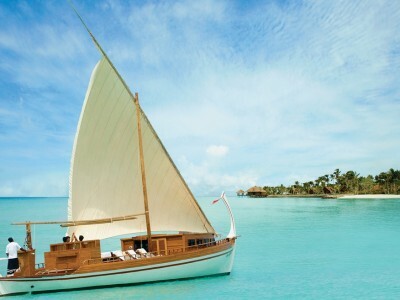 Transfer to the hotel takes 40 minutes by yacht, 15 minutes by seaplane. The island, more than 200 gardeners take care of which is a true piece of paradise with a spectacular design of a relief landscape throughout the island, it is an ideal place to relax and enjoy the sea, the sun and impeccable service. 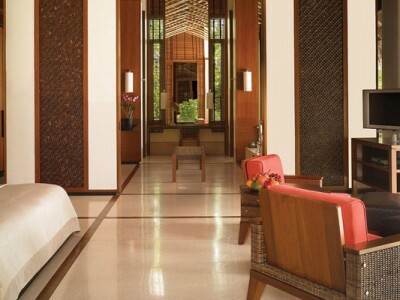 The interior of rooms elegantly combines natural materials and modern style. 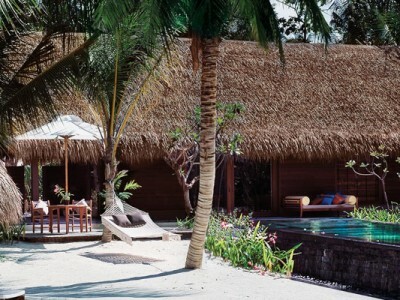 Each beach villa has its own stretch of beach. Guests can be sure that there is nothing that can disturb their privacy. 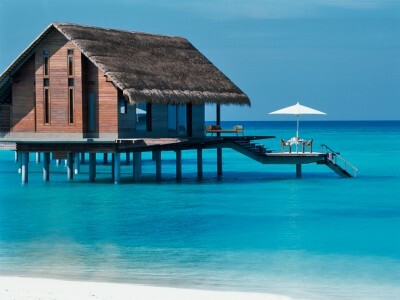 The hotel has been operating since 2004 and rather quickly became popular among tourists from different countries for whom compliance with the luxury level is an important point when choosing a hotel in the Maldives. 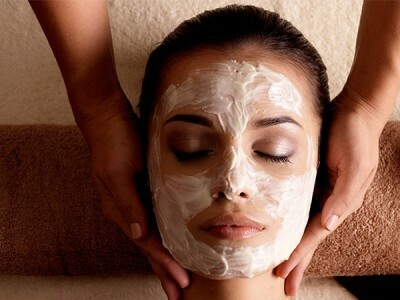 It is also necessary to mention that the spa center at the hotel won many times the first places in terms of quality programs and professionalism in the beauty and health segment in the Maldives. The quality and diversity of the food meets the level of the hotel. 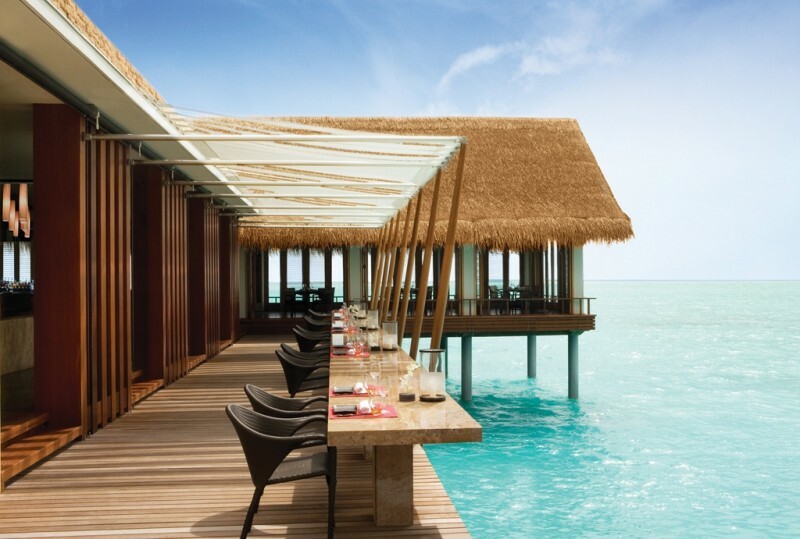 One of the restaurants Reethi is located above water and offers a varied menu of Eastern and Mediterranean cuisines. Dishes are prepared by the best world-class chefs. The kitchen is distinguished by its special refinement and attention to detail. Fanditha is a beachside restaurant on the north side of the island. Here guests come in shorts, shoes for the beach to enjoy the democratic style of the place and dishes cooked on the grill, a variety of snacks and salads. The beach area is wide and equipped with all the necessary equipment and that is unique for resorts in the Maldives rescuers who monitor the safety around. In addition to the diversity of water sports, there are numerous sports fields for football, volleyball and badminton, tennis courts, a billiard area and one of the largest gyms of all hotels in the Maldives. 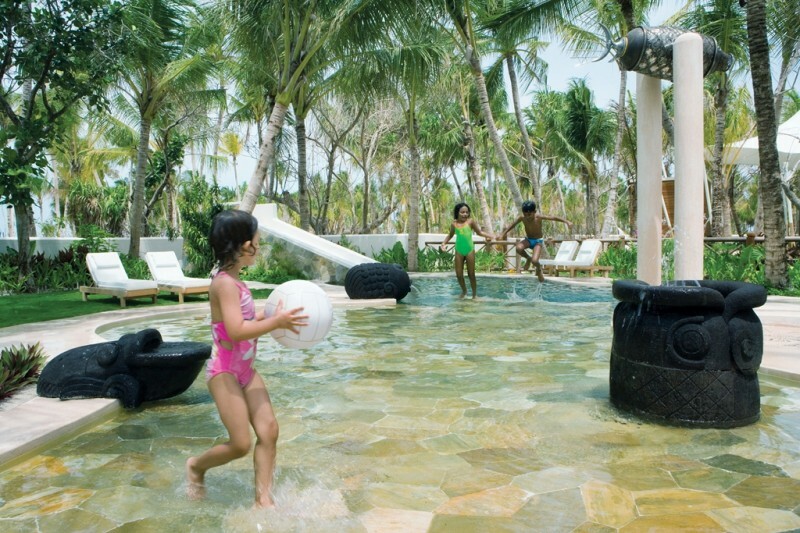 For children, the hotel offers a kid’s club where parents can leave a child for the entire day, since in the club, besides entertaining activities and games, lunch is provided. The restaurant’s menu is completed taking into account children’s preferences. There is also a separate pool for little guests. Entertainment programs are differentiated by age, for children from 4 to 11 years old, and for teenagers from 12 to 17 years old. In general, the hotel corresponds to the declared level, and not even afraid of so quickly spreading competition in the market. 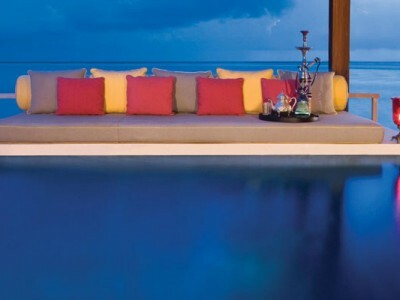 One & Only Reethi Rah is one of the best resort in the Maldives, hands down. From the arrival jetty you will feel the luxury vibe as you can see their yachts / speedboats docked and enormous lounge with high ceilings. You will feel light and easy as you are approached by hotel staff who looks very clean and tidy on their blue and white uniform and will serve you with professional grace. 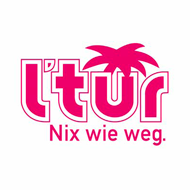 Once you’re done with the check in and start entering the resort you will be welcomed by a luscious green garden with the logo of One and Only in the middle. The island is huge but very well maintained as there are more than enough employees on the island to assist guest with the ratio of 3:1. It is guaranteed that service is on the highest level. The beach is one of the key assets and if ever you go hungry or thirsty after swimming or sun bathing then there is a restaurant called beach club. There are a total of 8 restaurants in the island and imagine staying for a week, you can dine in each of the restaurant every night. Talking about variety! You will never get bored or complain about the same food as each restaurant serves different type of cuisine all over the globe. Another advantage is it is not very far from the airport, it could be reached via speedboat or seaplane in less than an hour. 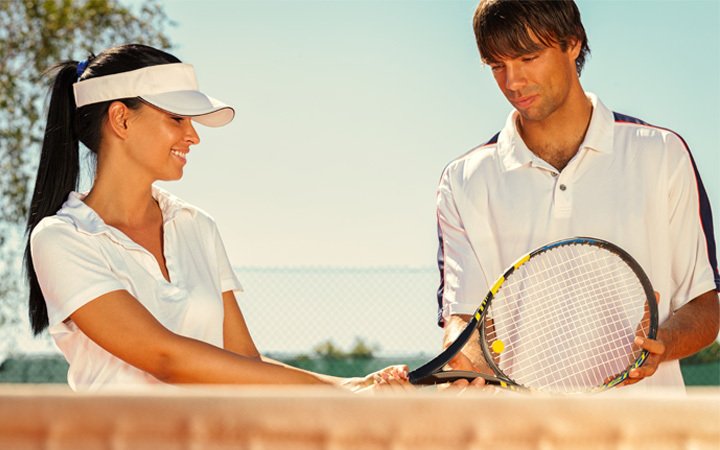 Amenities such as their spa, gym, water sports center and kids club are top of the line. Rooms are very spacious and stylish and guest can also opt in to in villa dining if they don’t want to leave their rooms. Serving time is 8 minutes from the time that you order and yes it is way faster than pizza delivery. Over all, never want to leave this island. 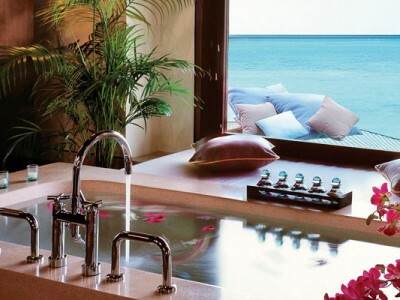 A perfect definition of paradise on earth.